Should you buy or rent a home in Toronto? This is an incredibly difficult question to ask. Usually, the question is asked by the people that are moving to Toronto. The best thing we can offer as a response to this is – it depends. Because, essentially, it does depend. It depends on a number of things, but mostly it depends on where your life currently is and what your future plans are. We will not advocate one or the other. We will discuss some advantages of both, as well as their disadvantages. Based on this input we hope to bring the answer at least a little bit closer to you. First, we need to identify the two. Basically, renting an apartment is the easy way out. There are no attachments, emotional or otherwise. There is no commitment to the place given that you can pick up and leave at any time. Owning and buying your home requires a lot of factors to be met. Emotional maturity, financial maturity and a general compass of where you wish to end up in life. This is the endgame, and this proves to be a very complex task that not many take lightly, as they shouldn’t. Should you buy or rent a home in Toronto? Basically, this is one of the grown-up dilemmas. If you ever end up asking yourself this question – congratulations. You’re in the adult league now. There is a huge difference when you think about whether you should buy or rent a home in Toronto. One is more expensive than the other, in the long run, whilst the other is more difficult. So the choice is with you. Myself, personally, I live in my suitcase. I never spend more than 2 years in the same city, hence buying a home is a silly move for me to make. However, in order to remain objective, I spoke to a few friends that have settled down and we have compared our lives and the factors leading to it. Here is what we came down to. 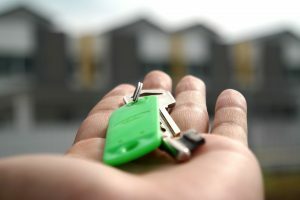 The clash of whether you should buy or rent a home in Toronto can be settled before it begins when it comes to money. Renting across the globe is not nearly as expensive as it is in Toronto. Toronto has the highest rental price in the country, and even beyond that. In other words, renting an apartment in Toronto is hella expensive. This alone may be a stoppage for some, and the end of the argument. Someone told me, a long time ago, that paying rent is literally like throwing money down the sewer. 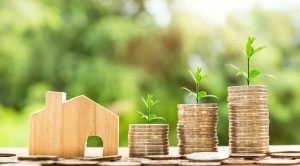 If you take a loan from the bank to buy a home, and they pay them back monthly, even with interest, you may end up paying as much as you pay for your rent. Or less, even. But you’d be paying for your own home. Still, renting has its advantages. First and foremost, you can literally pack up and leave at any time without any loss of money or time. Just a month’s notice and you’re out. You can’t really do that with a home that you own, can you? But if change apartments too often then you need the help of local moving experts in Toronto. Second, you don’t have to bother yourself with any type of maintenances. Everything is taken care of by your landlord. The only responsibility you have is to pay the rent at the end of the month, and you’re good to go. Still, there’s no place like home. And there is no place in the world like the home you worked hard to earn and buy. This is your sanctuary. Your palace. A place where you make all the decisions and you rule. If you want to tear down a wall, do it, you wish to own 10 dogs – feel free. If you want to paint the whole thing orange and blue, you can. Because it is yours and you call all the shots. However, buying a home requires a lot of emotional and financial maturity. You need to know where your life is currently and where it is heading, otherwise buying a home might be a waste of money and time. 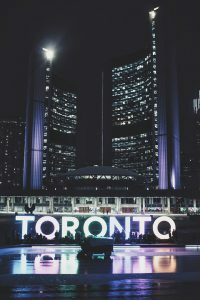 So the first thing you should ask yourself when debating whether to buy or rent a home in Toronto is – are you emotionally ready to buy your first home? It requires a lot of stability and dedication, as well as determination. You do get a kingdom to rule, and make all the decisions, but there is a lot of stress that comes with it. Also, you need to count in the moving expenses, and High Level Movers Toronto can help you get moving done. For instance, when your refrigerator dies, and you are under rent, no big deal. All you have to do is call the landlord, explain what happened, and you’re a free man. You can go grab a coffee, or finish some errands, and by the time you return your landlord will have already started working on the problem. When you own everything, you don’t have that luxury. Something dies – you have to take care of it. There is nobody else to turn to. But, the element that impacts the whole thing the most is your financial stability. Basically, the debate of whether you should buy or rent a home in Toronto should begin with – can I afford it? Again, this is all if we consider that you are doing the entire thing alone. But look at the math. If the home is valued at about 500.000$ you have to understand that you’ll have to put at least 20% down. Do you know how much that comes down to? One hundred thousand dollars (100.000$). If you have to prep all that money alone, it can be a bit of a problem. This is all if we fail to consider that your parents might feel generous, or you have some savings. Because if not, the reality of the matter is that it isn’t THAT easy to afford a home. Either way, we hope to have made it a bit easier for you to plan your housing. Good luck!